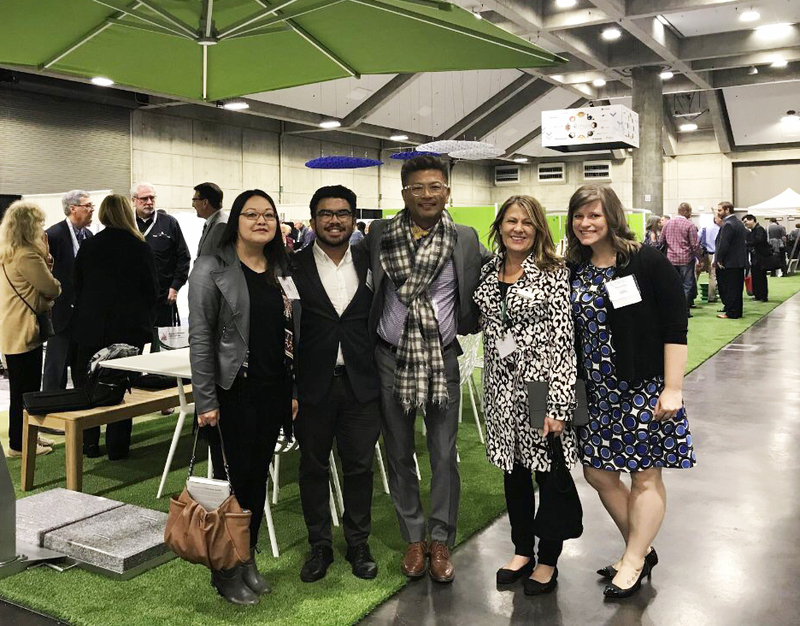 Lionakis had a large presence at the California Coalition for Adequate School Housing Conference this year. 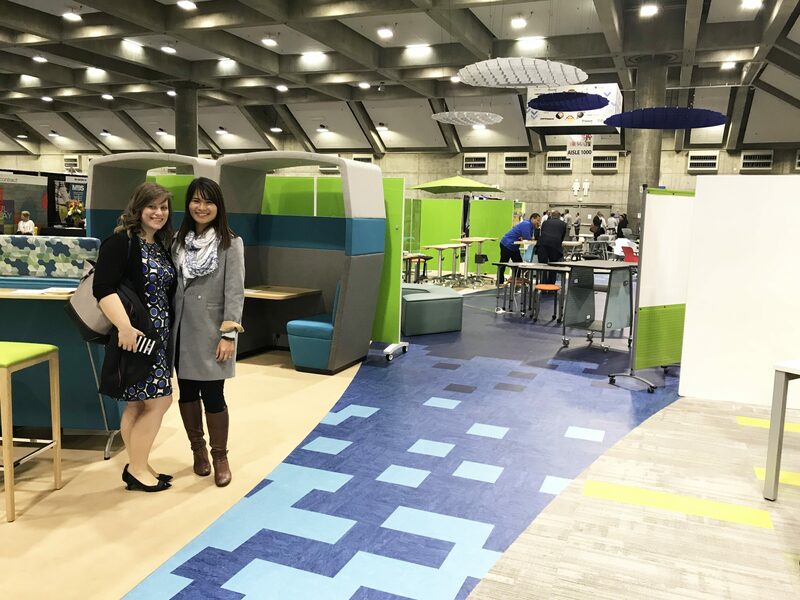 Held at the Sacramento Convention Center, we hosted a learning forum led by Laura Knauss and Mary Morris, provided sponsorship of the internet cafe and collaborated on an interior and graphic design collaboration with the theme of this year’s conference: NextGen: An Interactive Learning Experience. Education Principals Laura Knauss and Mary Morris led a talk about Maximizing Facility Impact on Student Learning through insights gleaned from Sacramento State’s School of Education. Together with other contributors, our team discussed their experiences working in aging school facilities, renovating school facilities and what is new in school facilities. 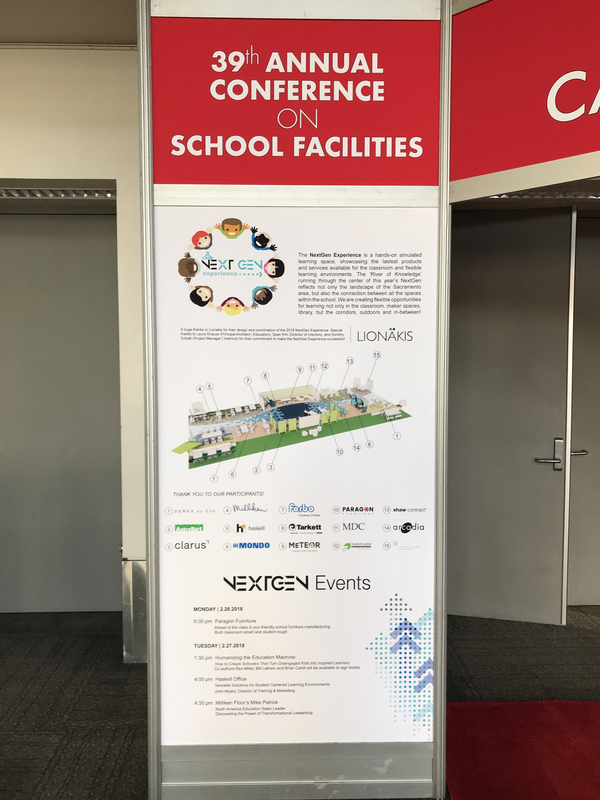 They highlighted the features that encompass NextGen spaces – flexible, technology-rich environments and how they align to the pedagogy envisioned for new content standards for the state. 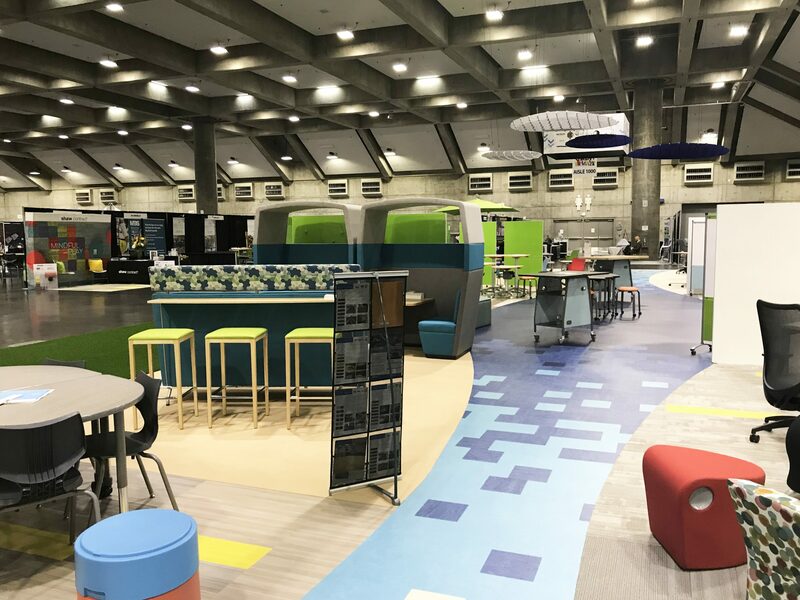 What can teachers teach designers about classroom and facilities features that best support standards-aligned teaching and learning? 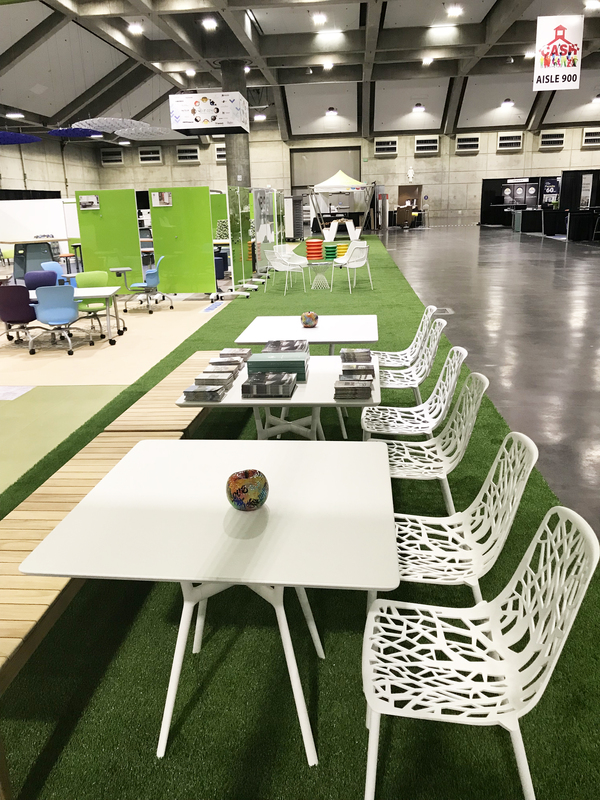 How can designers support teachers’ “design thinking” so that classroom facility spaces are optimized for student learning? How can we ensure the future designers and future teachers remain in dialogue about these important issues? Finally, our Interiors team and Graphic Design team played a vital role in the visual presence of the NextGen display area on the showroom floor. 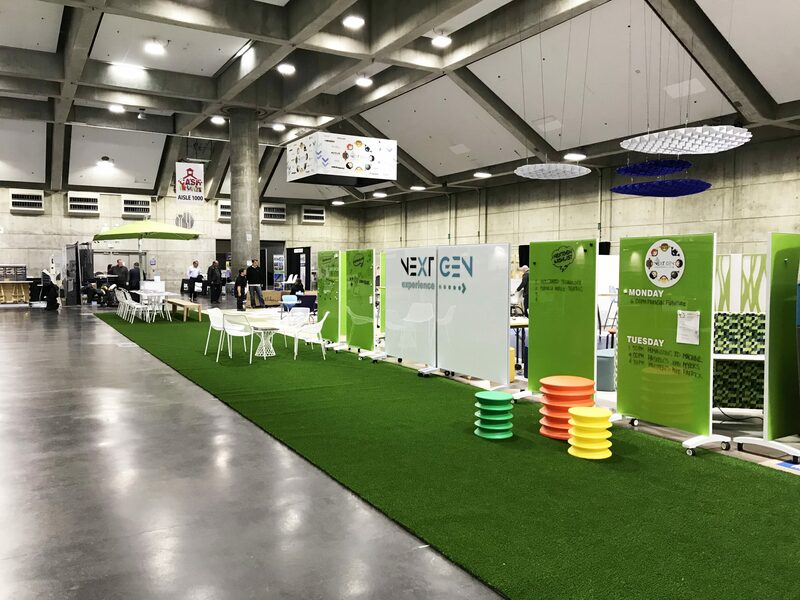 The NextGen logo was produced by our in-house graphics team and graphic designers – while the design for the logo, showroom layout and product selections were provided by our Interior Design Team. 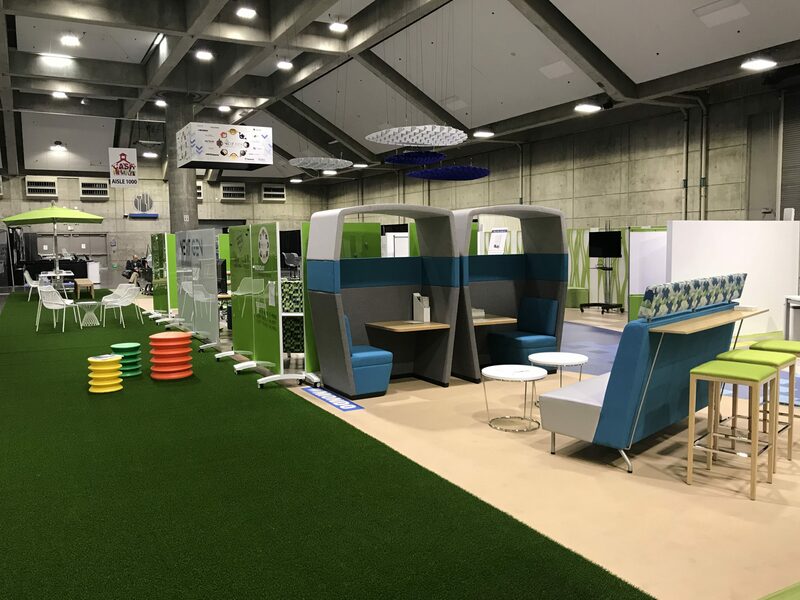 The NextGen experience is hands-on simulated learning space, showcasing the latest products and services available for the classroom and flexible learning environments. 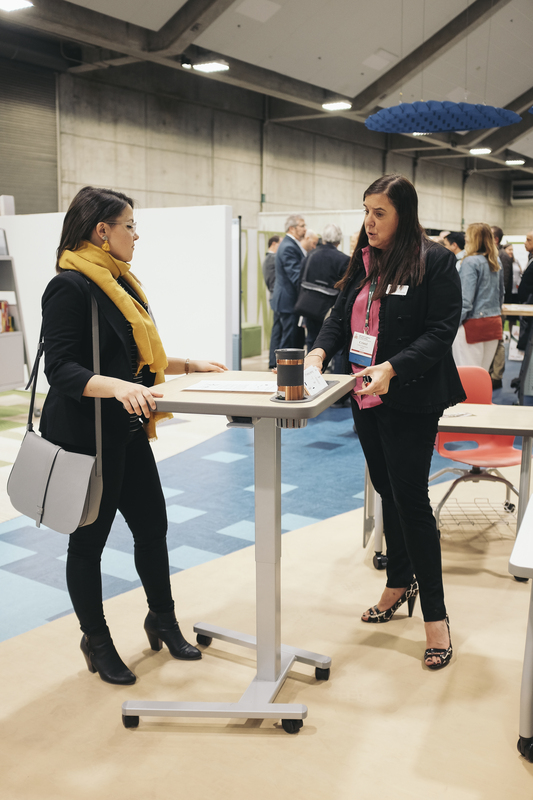 The ‘River of Knowledge’ running through the center of this year’s NextGen reflects not only the landscape of the Sacramento area, but also the connections between all the spaces within the school. 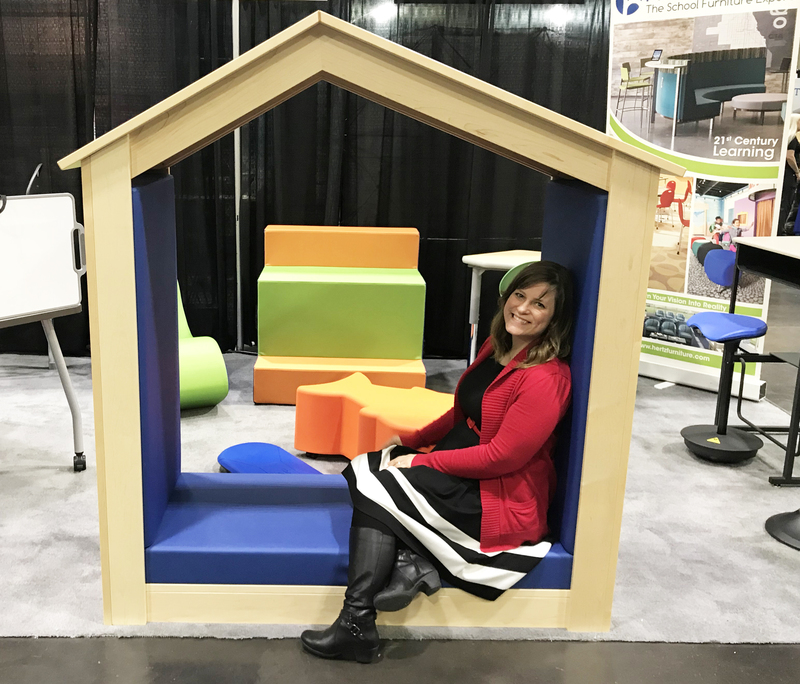 NextGen creates flexible opportunities for learning not only in the classroom, maker spaces and library – but in the corridors, outdoors and in-between! 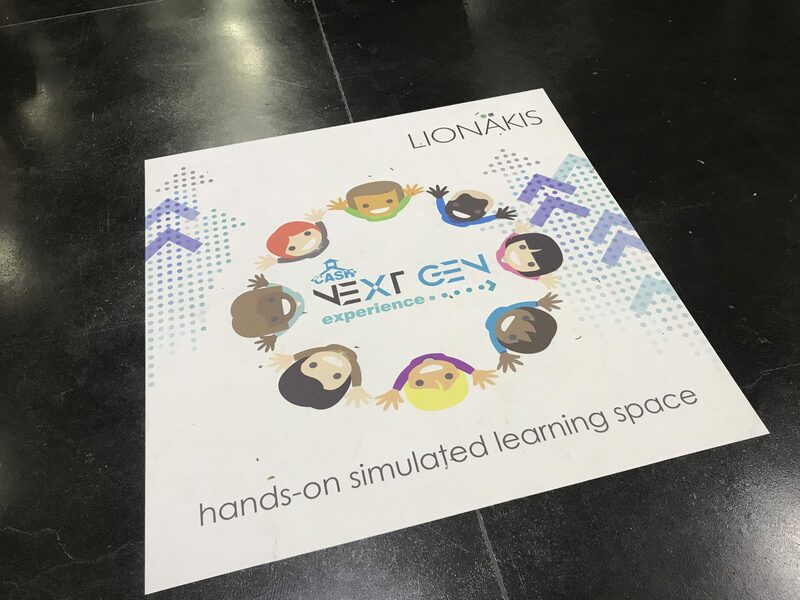 Lionakis was honored to provide the design and coordination of the 2018 NextGen Experience. C.A.S.H. was founded in 1978 in response to diminished statewide resources for School Facilities. 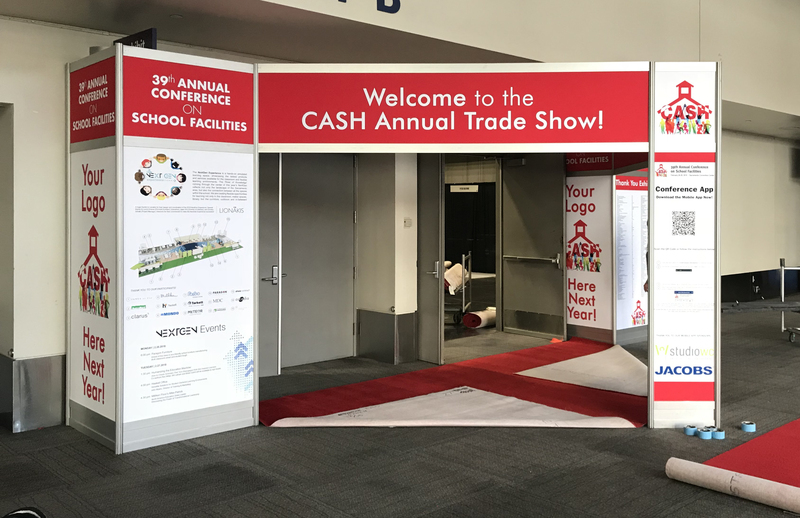 All in all, C.A.S.H. 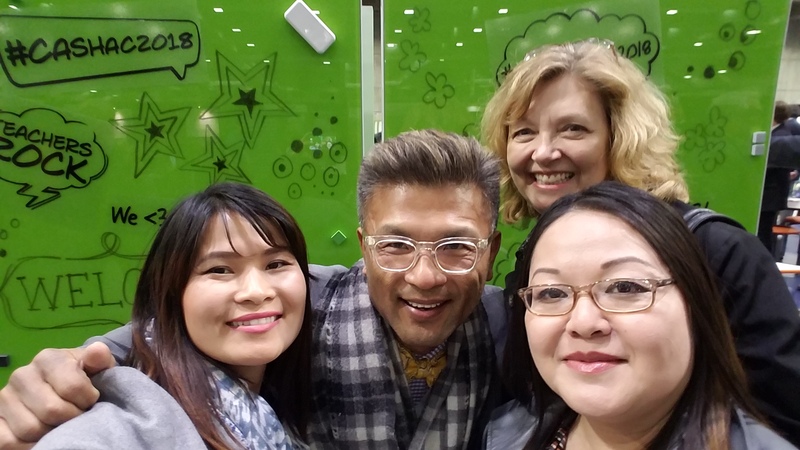 2018 was an excellent experience for everyone who attended and a great chance to share knowledge and skill across the network of our many clients, colleagues and friends.